This project is studying cancer stem cells in paediatric gliobastomas, to help scientists look for new ways to help children affected by this treatment-resistant cancer. Paediatric glioblastoma (pGBM) is an aggressive brain tumour that fewer than one in five young patients survive. Although we’ve learned a lot about it, it remains one of the few childhood cancers where survival rates haven’t improved over the last 30 years. Scientists think this could be because of a small population of cancer cells called cancer stem cells (CSCs). These cells have been recognised as a potential cause of tumour growth, cell production, drug resistance and metastasis. Research in this field has had little success to date, partly because these CSCs keep changing, making them difficult to detect and characterise. Learning more about specific features of CSCs would enable scientists to design treatments to target them. Because of their location in the brain, we can’t get samples of pGBMs to biopsy, so the only way to detect and characterise tumour regrowth and treatment resistance at an early stage is by imaging. Professor Martin and his team will be using advanced imaging techniques to study pGBMs. Research into childhood brain tumours is highly challenging and, although we’ve discovered much about the biology of GBM in adults, we don’t know enough about GBM in children to develop new, more effective treatment strategies. Understanding of the role and characterisation of CSCs is vital to enable scientists to develop new therapies that directly target these cells and find treatments that will beat them. Specialist imaging techniques such as magnetic resonance spectroscopy (MRS) and positron emission tomography (PET) scanning are powerful tools used to assess the metabolism of cancer cells without taking samples through surgery – which is too dangerous. These scans helps us to characterise the disease and check how it responds to therapy. In this project, Professor Martin and colleagues will use these non-invasive imaging techniques to characterise the differences between CSCs and the non-stem cancer cells. They aim to identify specific metabolic features of CSCs that can be used to aid the design of new therapies. This project therefore has the potential to contribute to the development of new drugs for pGBM, essential if we are to save the lives of more children with this form of cancer. The lead investigator, Professor Martin Leach, has a great deal of experience of research developing and applying magnetic resonance techniques to identify and monitor important processes in cancer, particularly in relation to new cancer therapies. His colleagues, Dr Chris Jones and Dr Gabriela Kramer-Marek, contribute valuable expertise in the genetics of childhood brain tumours and molecular imaging respectively. Most of the day-to-day work on the project will be carried out by Dr Alice Agliano, who has an excellent track record in the field and extensive experience in cancer biology, metabolism and imaging technology. 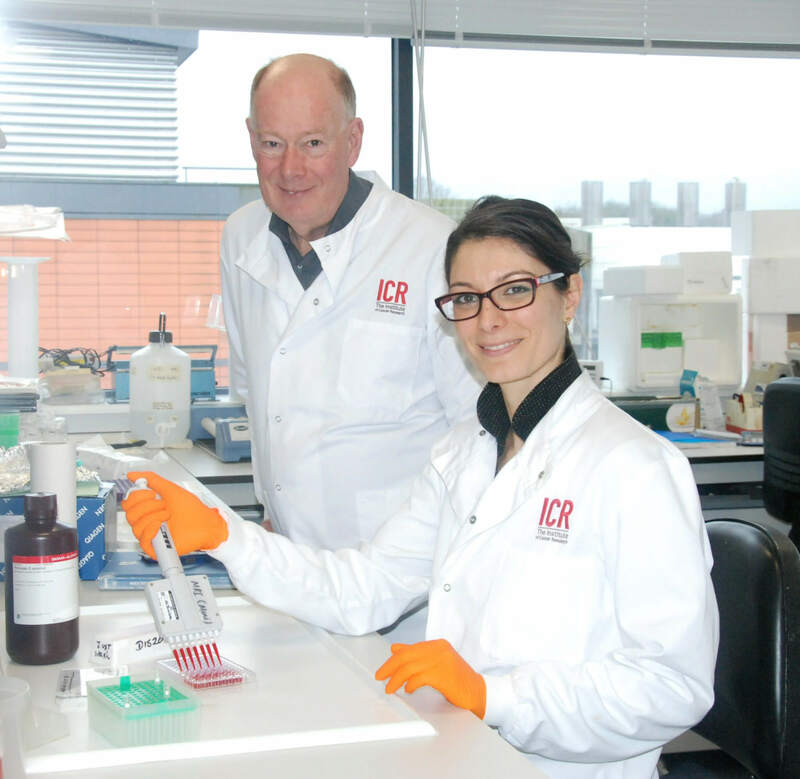 The Institute of Cancer Research (ICR) provides the ideal environment for this work. At the beginning of 2015, a new £20m dedicated pre-clinical Centre for Cancer Imaging (CCI) opened at ICR, providing state-of-the-art facilities and a highly collaborative working environment for multidisciplinary teams of cancer researchers.